Video of Why EVERYONE NEEDS to own a MACRO LENS! Do you have a macro lens in your camera bag? If you don’t, is it because you don’t shoot macro photography? If you do, are you limiting the use of the lens? There are several lenses out there that some photographers use only for a specific reason, and a macro lens is one of them which many photographers limits to macro photography. What if I told you the lens has many more uses than just extreme up-close photos which they are known for. For this week’s two-minute Tuesday video with Peter McKinnon, he talks about the several different scenarios where he used his macro lens beyond just macro photography. Don’t let the lens name fool you, McKinnon calls his macro lens the “Swiss army knife” in his camera bag, and I agree. While there are a few different kinds of macro lens and several brands, he shows off his Canon 100mm f/2.8 Macro and the Canon 100mm f/2.8L Macro IS lens. I personally have used my Canon 100mm L for portraits and some automotive shots, and it can be used for more as McKinnon lists product photography and video specifically as uses and states he uses it for everything. It's not unheard of using the 100mm macro lens for portraits, we have a few articles that mention it and some comparisons on which is the best lens to use for portraits. Yes, one downside is that it can be slower to focus which I have personal experience with. When the lens misses focus, it misses and takes a while to get back into focus. As long as it’s not a fast-paced shoot with a lot of movement, you will be OK using the macro lens. So for those of you with macro lenses, which one do you have and what else do you shoot with it besides macro photography? Let us know in the comments below. I don't have a macro lens, yet. Nikon shooter here, what macro lens would one recommend to someone getting their first macro lens? I heard the Nikon 105mm f/2.8 is really good as well as the Sigma. Wiliam, I own and sure the Nikkor 105mm VR macro. Very good for filming, shooting animation stills, little things. Great lens. For a bit less money, you might try the Tamron 90mm. 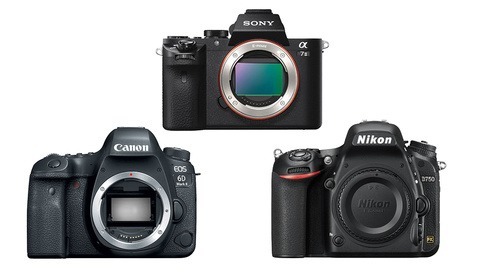 The last generation version has image stabilization and is $499 new. The Nikkor is a bit better but at $900, not that much better. If your only purpose is macro and you already have an 85mm, you might try extension tubes to see if you like it well enough to spend the money and take up space in your bag. Even though I have a macro lens, unless I'm after dedicated macro photography, I usually just put an extension tube in my pocket to go along with whatever lens I'm bringing. Thanks for the valuable info, I just bought a set of Kenko extension tubes. I believe that this is the ticket for me. You know budget wise and it will whet my desire to go full bore macro. I shoot my headshots with the Nikon 105mm f/2.8 -- awesome lens, and all things considered priced very well when you consider how much it can do. Looking at a Tokina 100/2.8 for Canon. No IS but 1/2 the price of the Canon 100/2.8. Not a macro shooter so I don't know how important image stabilization plays unless you are hand holding shots? Nice Video - thank you. If using a tripod, you usually want to turn off the stabilization anyways so yes it will only help if you are hand holding with slower shutter speeds or video. Bill, I've had s Tokina 100/2.8 for almost a year and love it. Great lens for portraits and macro produces beautiful images. If you're shooting hand-held just keep the shutter speed fast. I haven't used it for landscapes yet as I usually shoot wide-angle. Read Ken Rockwell's review before you buy. It depends on your intended uses. For still objects, you're fine as long as you use a tripod. For bugs, etc.. you will NEVER use a tripod. If you intend to use flash, you're still fine. If not...you'll really miss stabilization. You'll be using small apertures, close-up with moving subjects. Maybe in the fast paced video I missed it, but what optically is better about the macro other than the very short focusing range. He compliments compression of the 100mm, but is it any different than the 105mm primes that many seem to favor for portraits? Are you referring to the 105mm macro lenses? Macro lenses are sharp from corner to corner. Most lenses lose sharpness toward the edges. Also, macro lenses have a flatter, if not flat, focus field to minimize distortion on the edges. Thanks, I also found an article breaking down the 100mm Canon macro and non-macros, so that helped. I primarily shoot with Nikon cameras and manual lenses and will always prefer my Nikkor 55mm f2.8 ais lens for macro work over any other. It does the job and more. Use mine for macro, tight shots, portraits and products. Slow as mentioned but still quite useful. 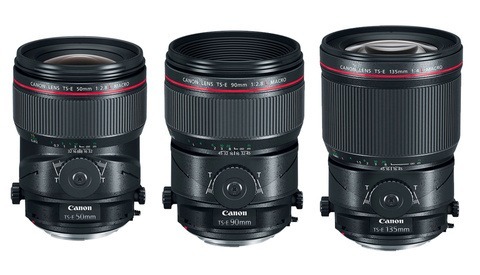 I rented the Canon 100mm 2.8 L once and it still feels like the one that got away ;) I need to get one soon. I LOVE my Canon 100mm f/2.8L IS USM Macro lens. There is a switch on the side that helps with the slower focusing issue. You can switch between 0.3-0.5m, 0.5m-infinite, and Full. If you leave it on "Full", focusing can be painfully slow. Using the right mode really helps.